Sign up and receive Property Email Alerts of Houses for sale in Sandhurst, Johannesburg. Soaring open spaces, spectacular views, rim flow pool - all add to this contemporary masterpiece. Designed to take advantage of the views, the home offers spacious reception areas, 5 luxurious bedroom suites, sweeping glass staircase, 2 lifts, plus garaging for 15 cars with service lift allowing for direct access to the kitchen. With state of the art finishes, gas fireplaces, outdoor metal shutters, top notch security, an exhilarating lifestyle awaits the select few. 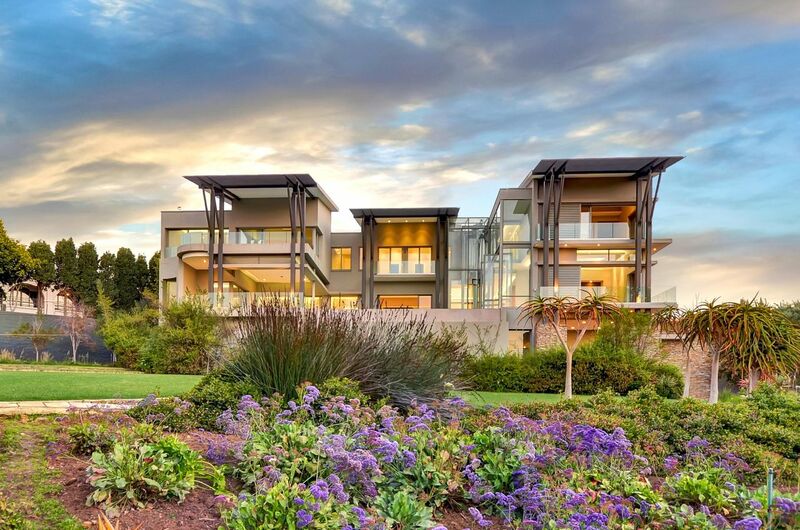 Sign-up and receive Property Email Alerts of Houses for sale in Sandhurst, Johannesburg.